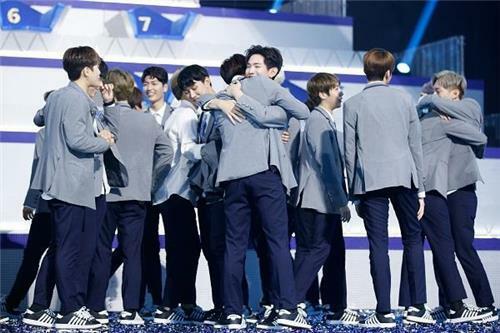 SEOUL, June 20 (Yonhap) — Season two of “Produce 101,” Mnet’s all-male idol audition show, topped a TV popularity index for 10 weeks straight, data showed Tuesday. “Produce 101” scored 285.1 points on the Content Power Index (CPI), becoming the most popular TV program from June 5-June 11. In the show, a group of viewers called “public producers” choose by popular vote members of a new project idol group from a pool of 101 trainees from various entertainment companies, along with the team’s roster, concept and debut song. Last year’s first season featured a pool of female singers and culminated in the project girl group I.O.I. Season two features only male trainees. KBS 2TV’s drama “Fight for My Way” climbed two steps to rank second, scoring 236.6 points, followed by SBS TV’s “Mom’s Diary – My Ugly Duckling,” a reality TV show starring single middle-aged celebrities and their mothers, with 225.1 points. SBS TV’s mid-week drama “Suspicious Partner” ranked fifth with 224 points, followed by MBC TV’s marquee weekend variety show “Infinite Challenge,” soaring 12 pegs to fifth place, with 223.4 points. MBC TV’s period drama “Ruler: Master of the Mask” fell a notch to rank sixth and was trailed by tvN reality-travel talk show “Dictionary of Useless General Knowledge” coming in at seventh. 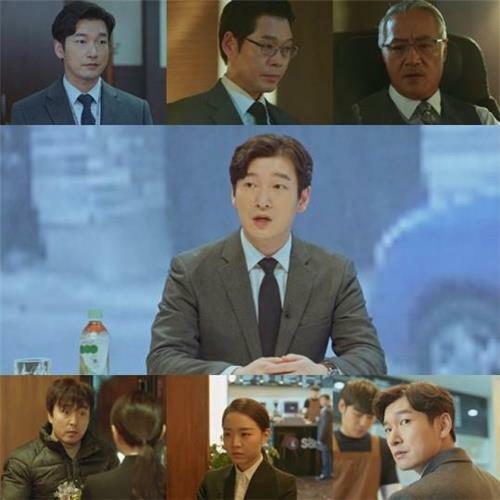 The new tvN weekend legal thriller “Stranger,” starring Cho Seung-woo and Bae Doona, made its debut on the chart at eighth, and “Father is Strange,” KBS 2TV’s weekend drama, clocked in at ninth place.